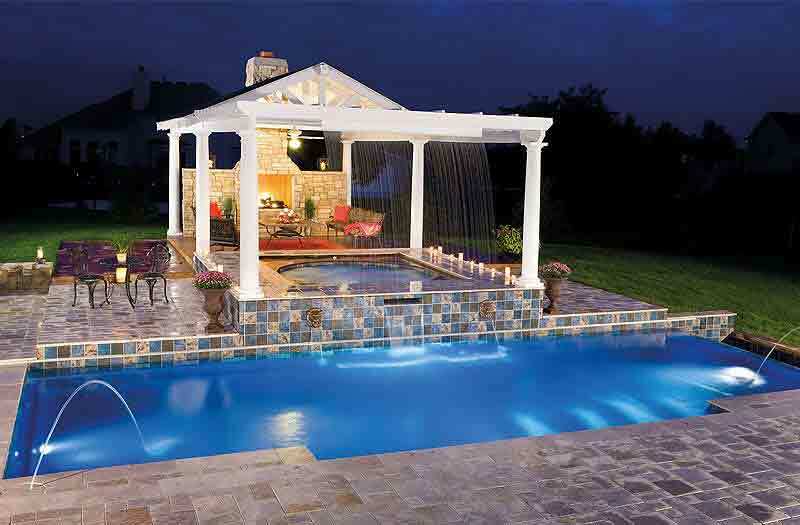 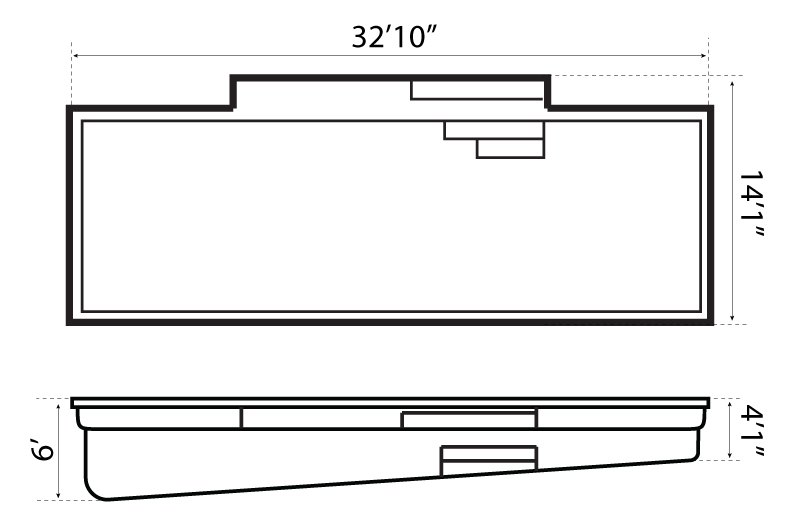 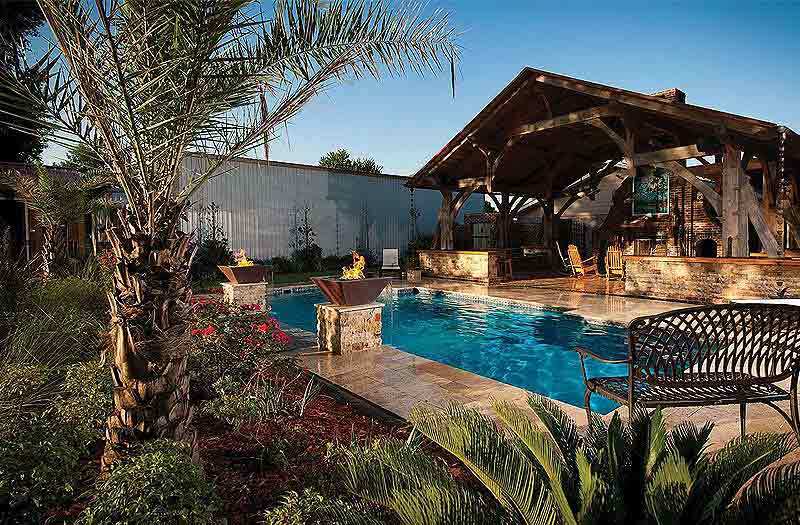 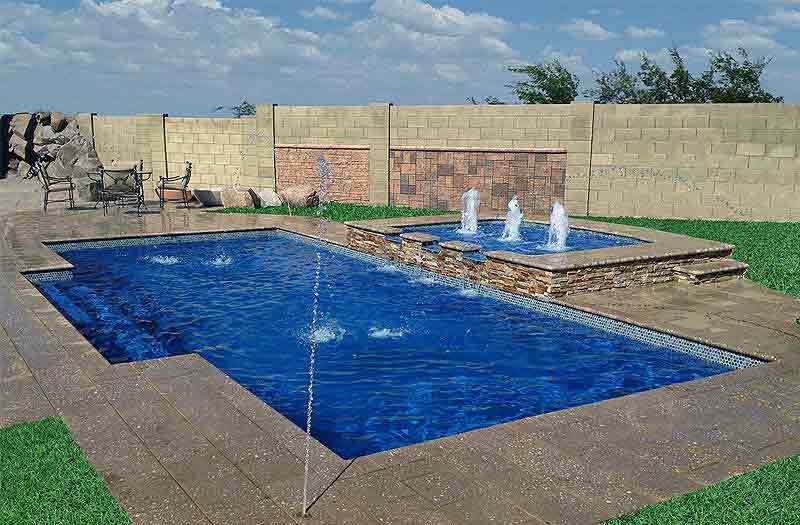 Elegance 33 pool model is one piece fiberglass construction and has a rectangular base. 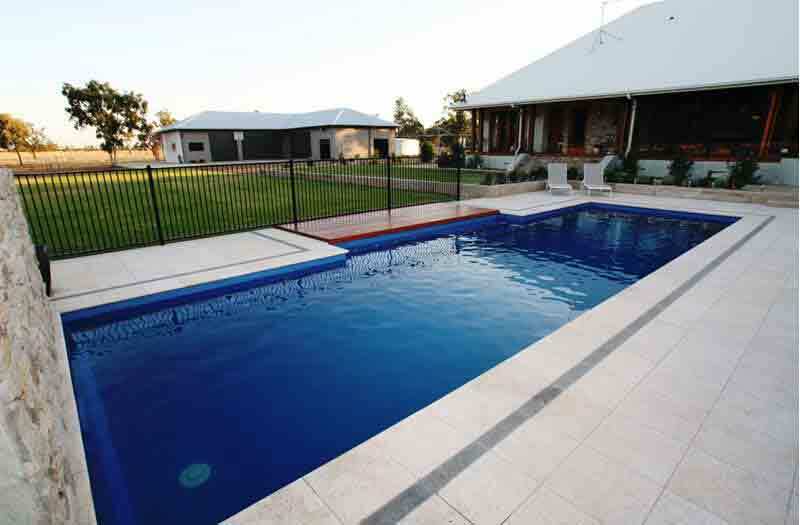 Pool has safety ledge all around the pool for extra security. 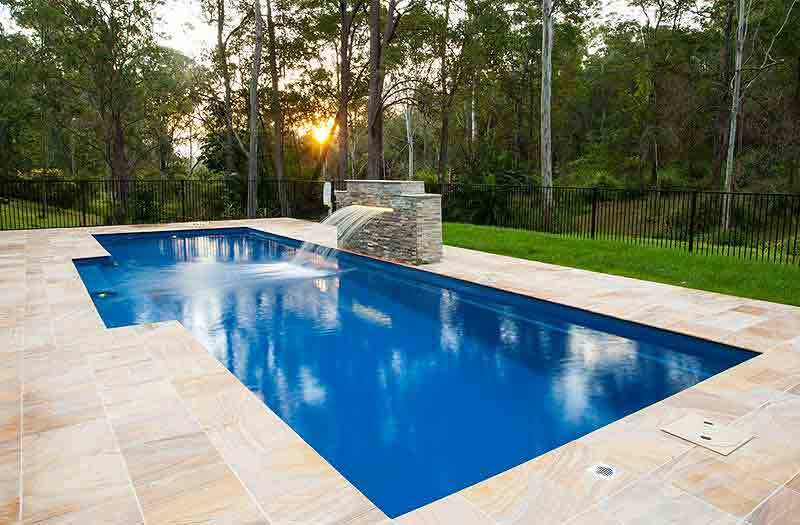 Front entry is located on the side of the pool creating generous entry with extended SPA nook seat for optional therapeutic jets installation. 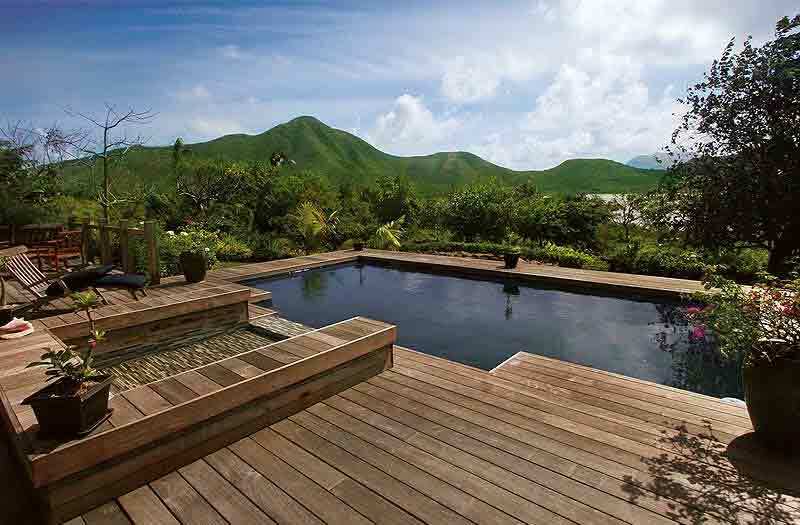 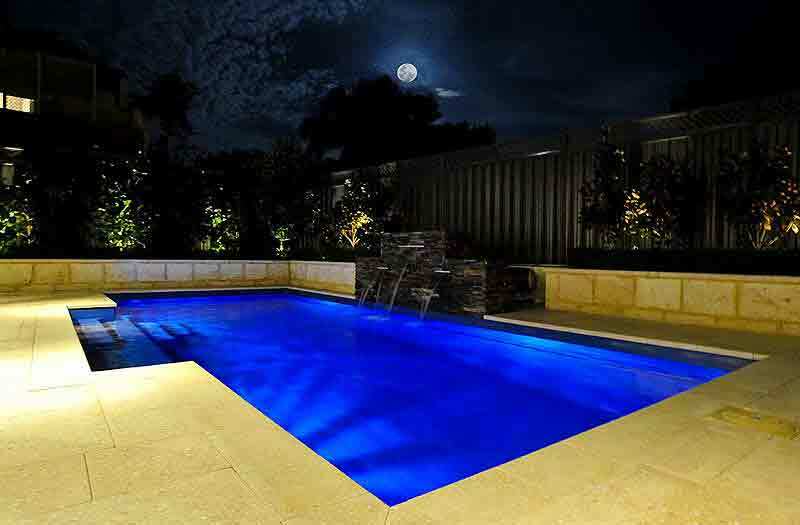 The Elegance is not only a visually stunning pool, but also one that maximizes the space inside where you swim. 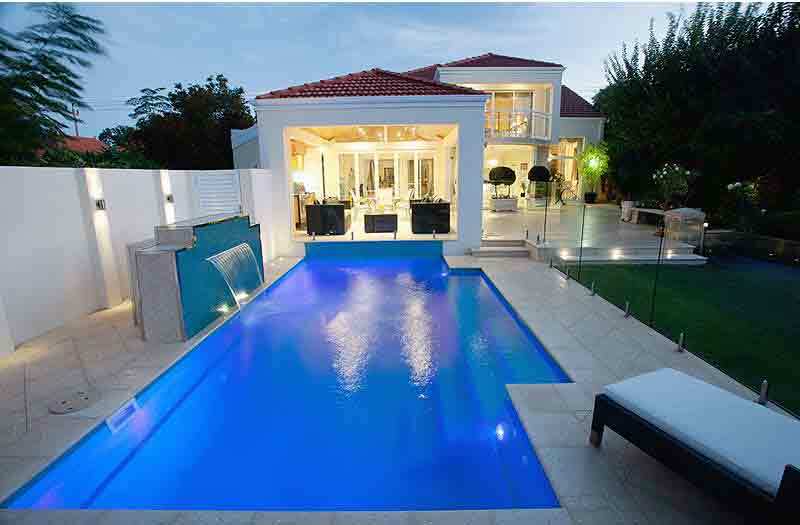 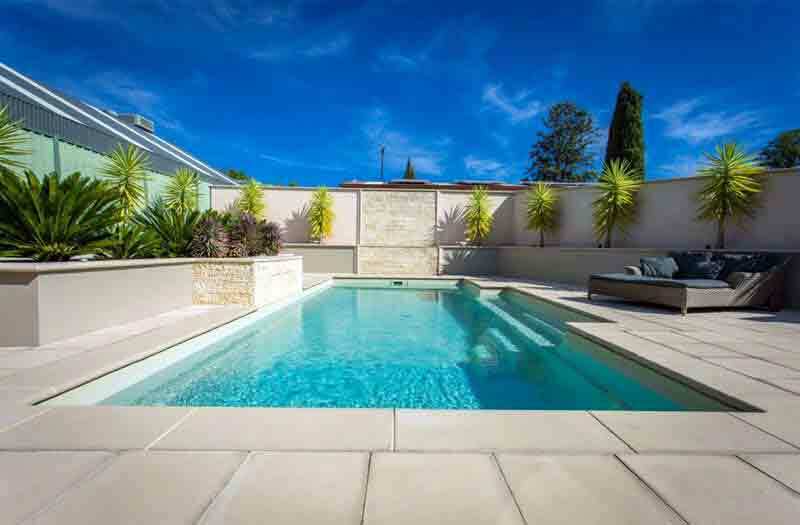 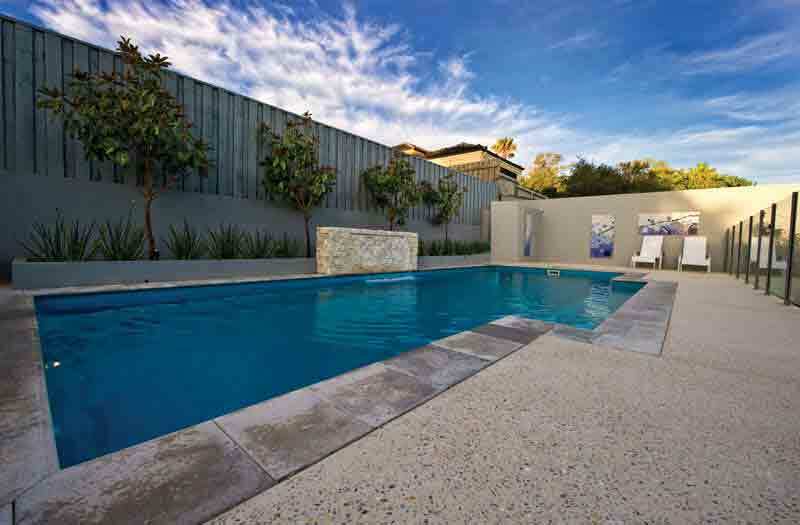 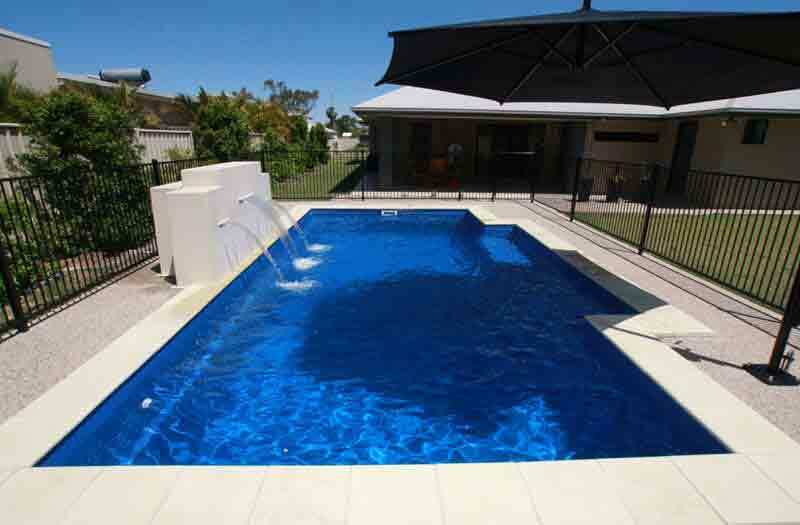 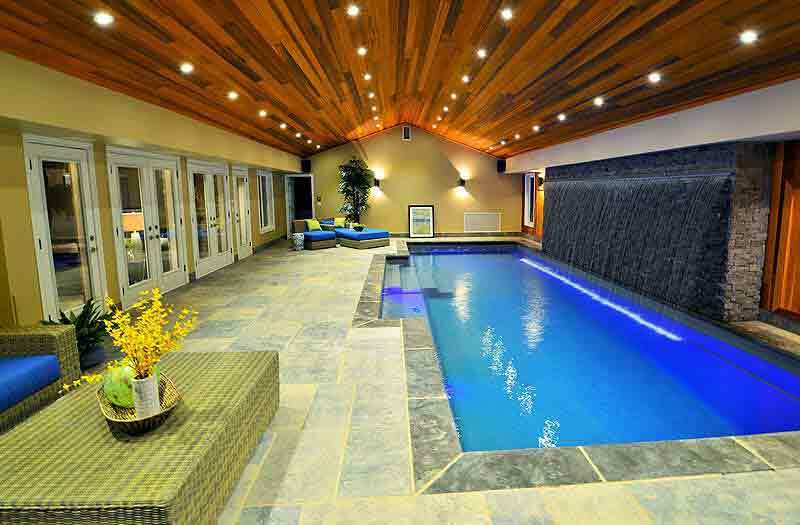 The Elegance has a large unobstructed swimming corridor which is perfect for swimming laps. 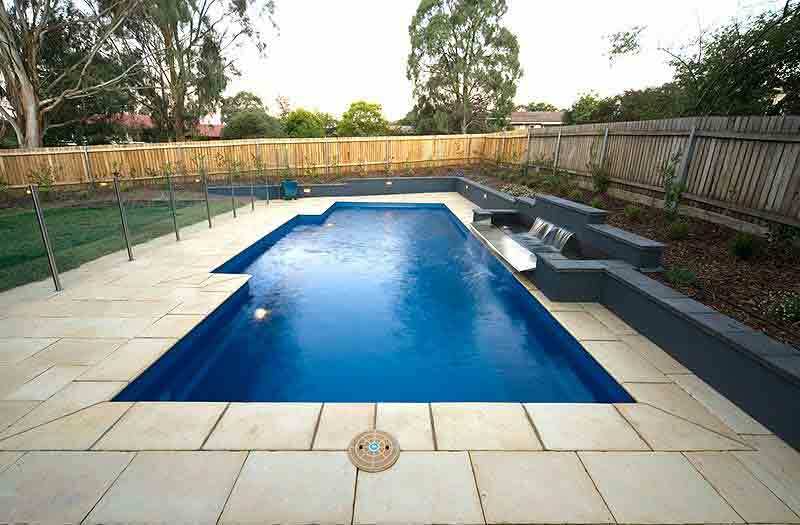 The central step location also incorporates generous seating area where optional spa jets can be installed to create a relaxing spa nook. 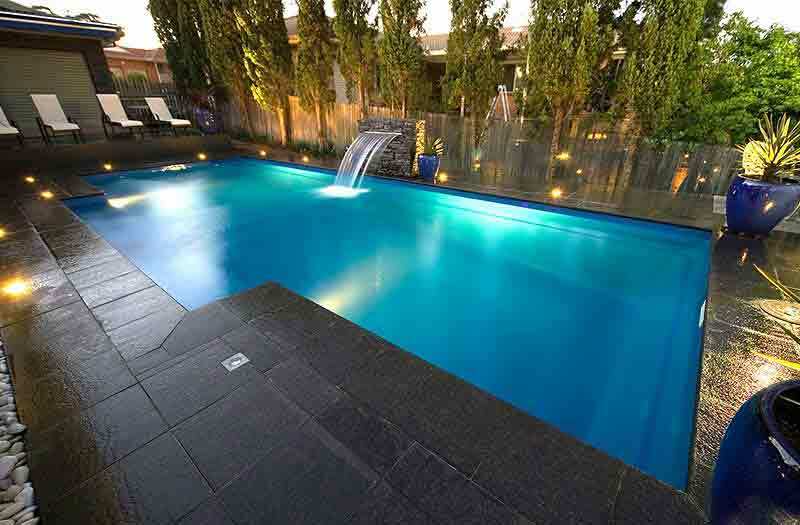 The pool has generous depths at both deep and shallow ends and comes in sizes of 32' 10", 29' 7" and 26' 3" lengths to suit almost any size location.